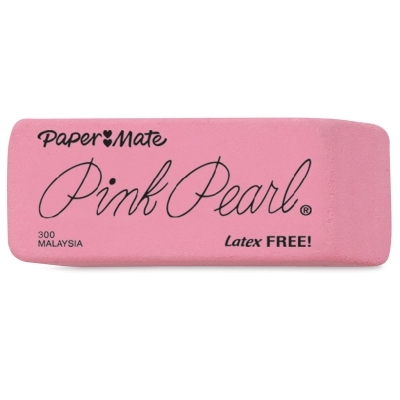 Soft and pliable, always gives smudge-free erasures. All-time eraser favorite is beveled on ends for better control. 3 sizes, box of 12. ® Paper Mate is a registered trademark.® Pink Pearl is a registered trademark.